The French Riviera — or as the French refer to it, the Cote d’Azur — is the playground for the rich, famous… and basically everybody else. Visitors to this area will find beautiful beaches and lovely weather as well as plenty of glitz and glamor. 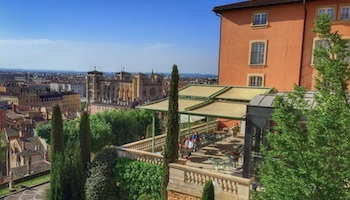 Other things to do in the French Rivera include attending one or more of its famous events, like the Cannes Film Festival and the Monaco Grand Prix. The Iles d’Hyeres is the collective name given to three beautiful and mostly wild islands that are located off of the French Rivera. Also known as the Iles d’Or or the Golden Isles, these three islands include Porquerolles, Port-Cros and Levant. The entire island of Port-Cros is a national park, while 4/5ths of Porquerolles has been bought by the state in order to protect it from development. Levant, on the other hand, is home to a military base and a nudist colony. Visitors need to take a ferry in order to reach the Iles d’Hyeres. Once there, they can visit the many ancient forts that can be found on these islands, go birding, hiking, biking or scuba diving. Èze is a fortified medieval village that sits 430 meters (1,400) feet above sea level, overlooking the beautiful Mediterranean Sea. With its lovely villas covered in bougainvillea and cobblestone streets, Eze is a charming and very photogenic town. In Eze, visitors can tour two famous perfumeries, the Galimard and Fragonard, visit a 12th-century fortified castle or Le Jardin Exotique d’Eze, a garden filled with exotic plants and lovely statues that also offers some of the best views of the surrounding area. The Villa Ephrussi de Rothschild is a seaside mansion that once belonged to Baroness Beatrice de Rothschild. It is a stunning home that is located on the Cap Ferrat Peninsula and is surrounded by gorgeous gardens. In addition, this rose-colored mansion, which is also known as the Villa Ile-de-France, boasts magnificent views of the Bay of Villefranche and the Bay of Beaulieu. 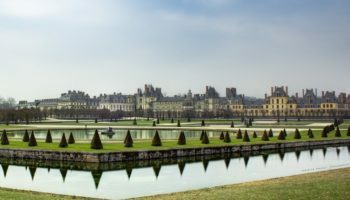 The villa and its furnishings, many of which are rare or priceless, were donated by the baroness after her death to the Academie des Beaux Arts of the Institut de France. Today, the Villa Ephrussi de Rothschild is open to the public for viewing. Also known as the Corniche d’Or or Golden Coast, this is an approximately 20-mile-long section of N98 that stretches from Frejus to La Napoule through the French Riviera. The Corniche de l’Esterel is not just a thrilling road with a number of hairpin turns; it is also a very scenic route that offers breathtaking views of the rocky coastline as well as the brick red Esterel Mountains. Because of its spectacular views, some consider the Corniche de l’Esterel to be one of the top driving roads in Europe. Up until the 19th century, Cannes was just a quiet fishing village, but today it is a glamorous seaside city made world famous by the annual Cannes Film Festival. 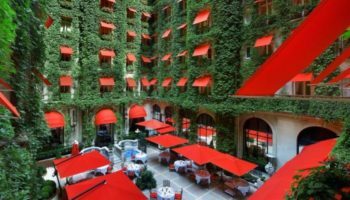 Every May when Cannes hosts the film festival, hordes of fans flock to see the rich and famous in person as the celebrities walk the red carpet up the steps of the Palais des Festivals where thousands of films are screened. 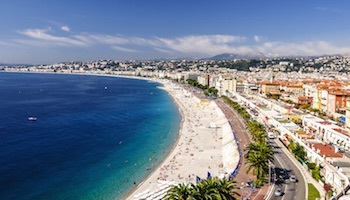 Leading up to the Palais des Festivals is La Croisette, the beautiful waterfront promenade that is lined with palm trees, upscale hotels, restaurants and designer shops like Gucci, Chanel and Dior. Situated on a hilltop, Saint-Paul de Vence is a fortified, mostly intact medieval village that bustles with tourists during the high season. It is also an artsy town that is home to a large number of art galleries, artist workshops and museums, including the world-famous Fondation Maeght. In fact, one of Saint-Paul de Vence’s most famous residents was the artist Marc Chagall, who lived and painted in this quaint village for approximately 20 years. Additionally, Saint-Paul de Vence’s hilltop location offers stunning views of the Alps, the surrounding countryside as well as the sea, making this charming town a photographer’s dream. This picturesque seaside resort town, which lies between Nice and Cannes, was once an old Greek trading port. Today, visitors to Antibes will still find lots of evidence of its olden days, including narrow cobbled streets and ramparts. However, Antibes, which is the second largest town in the French Riviera, isn’t just about the old. It also boasts one of the Mediterranean’s finest harbors. Antibes is also home to the Musee Picasso, a museum dedicated to the legendary artist, who lived in this town in 1946. 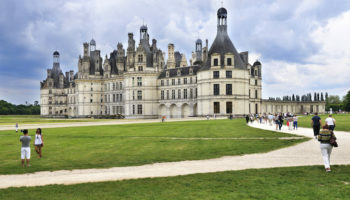 The museum is located in the Chateau Grimaldi, which was once a palace belonging to the famous Grimaldi family. 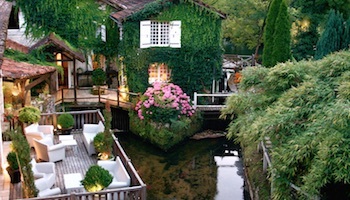 Since the 1950s, the beaches and resorts of St. Tropez have attracted celebrities and the wealthy from around the world. It remains just as popular today. Located very close to both Cannes and Nice, St. Tropez is an old Mediterranean seaport that charms visitors with cobblestone lanes and a historic center. At the same time, however, it also boasts classy and discreet beach clubs that cater to needs of the rich and the famous, and its harbor is filled with stunning yachts. While in St. Tropez, travelers will, of course, want to visit one of its world-famous beaches — the most well-known being Pampelonne. 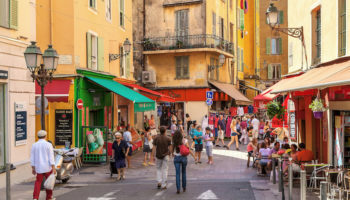 In addition, visitors will find plenty of dining and shopping options in St. Tropez as well as a lively nightlife scene. The beautiful city of Nice is the largest resort in the French Riviera and a major port for France. 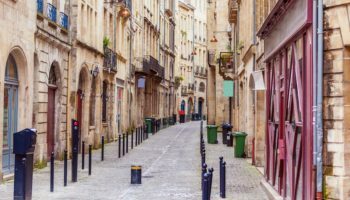 It is also the 6th largest city in France, so it, or course, has lots to offer visitors, including excellent places to eat and shop. 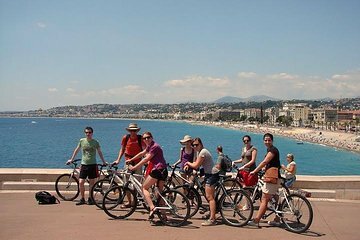 During the day, travelers can stroll or bike along the city’s famous Promenade des Anglais, enjoy a walk through its historic center or find a place along Nice’s pebbly beaches to take in the beauty of the Mediterranean Sea. At night, Nice comes alive. Travelers can party all night at one of the city’s nightclubs or just go bar hopping at one of the town’s many pubs. 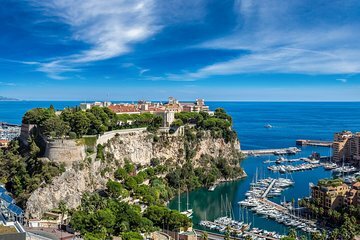 Bordered by France on three sides, the tiny country of Monaco occupies a prime stretch of real estate on the French Riviera but has a character that is entirely its own. The mere mention of the principality conjures up images of multi-million yachts, money-draining casinos and high-priced hotels. Gambling facilities have made Monaco a famous tourist destination, and the casino Monte Carlo is still one of Monaco’s biggest attraction. 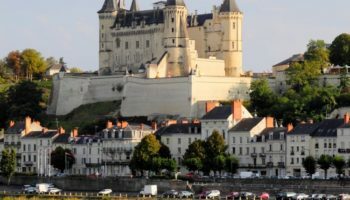 Other attractions include the Oceanographic Museum and Aquarium as well as the changing of the guard at Monaco-Ville, a palace that was originally a medieval fortress.